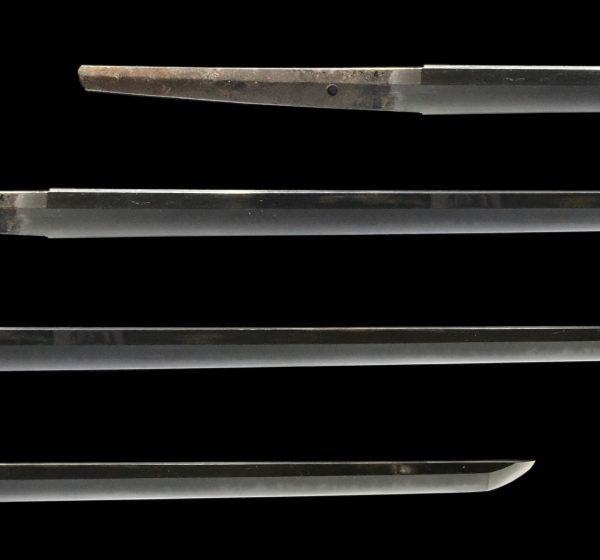 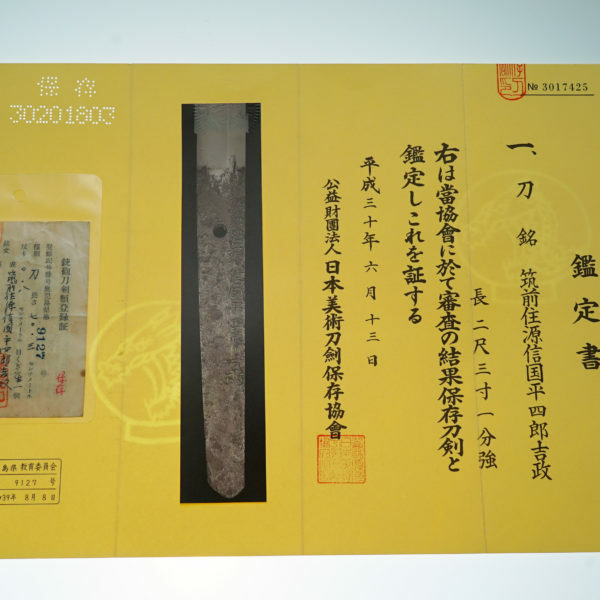 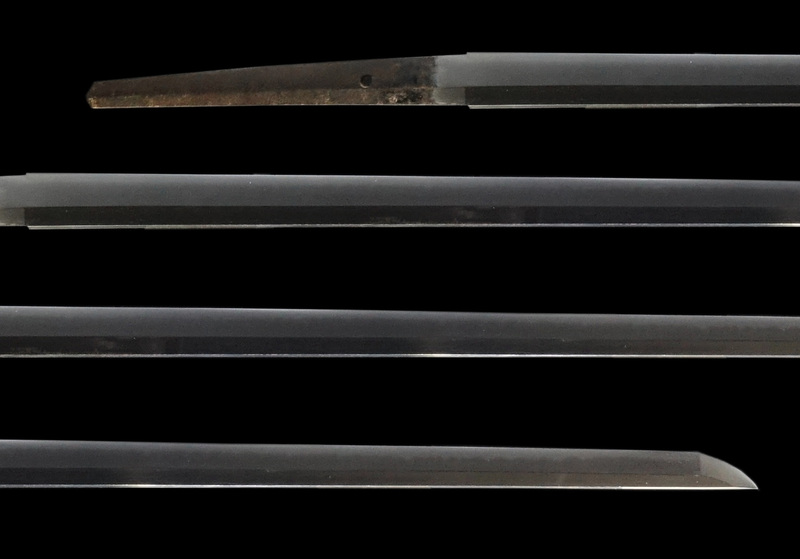 The long blade is shinogi-zukuri with a iori-mune. 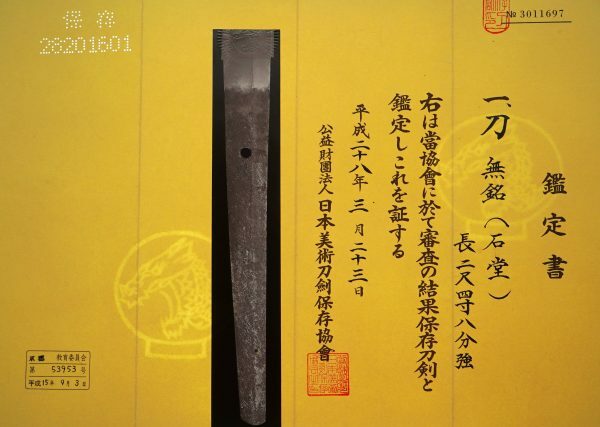 The hada is a prominent flowing itame, and has a pale, prominent utsuri. 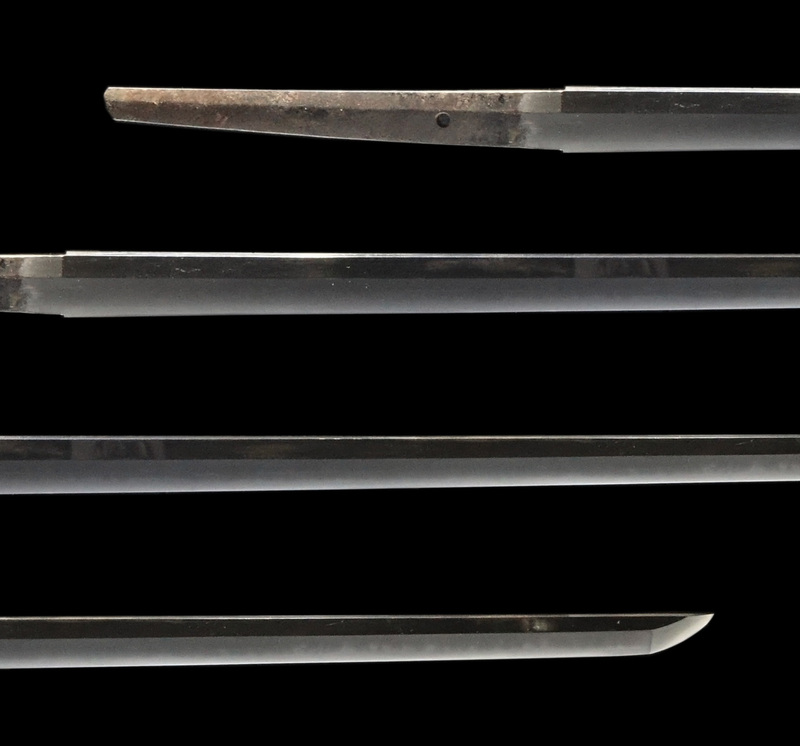 The clear bright hamon is a suguha based ko-gunome with choji, ash and yo. 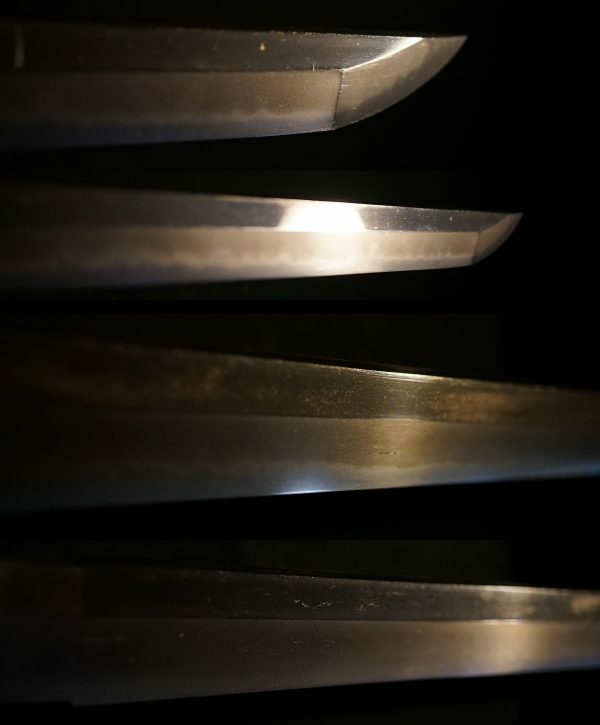 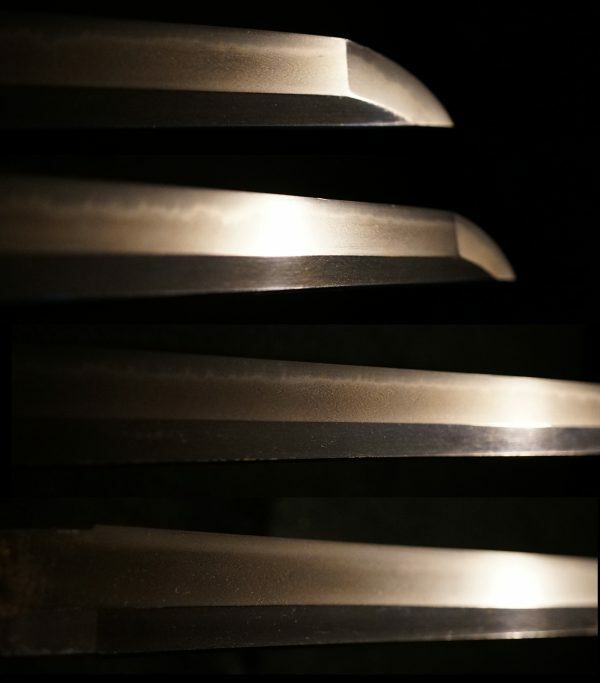 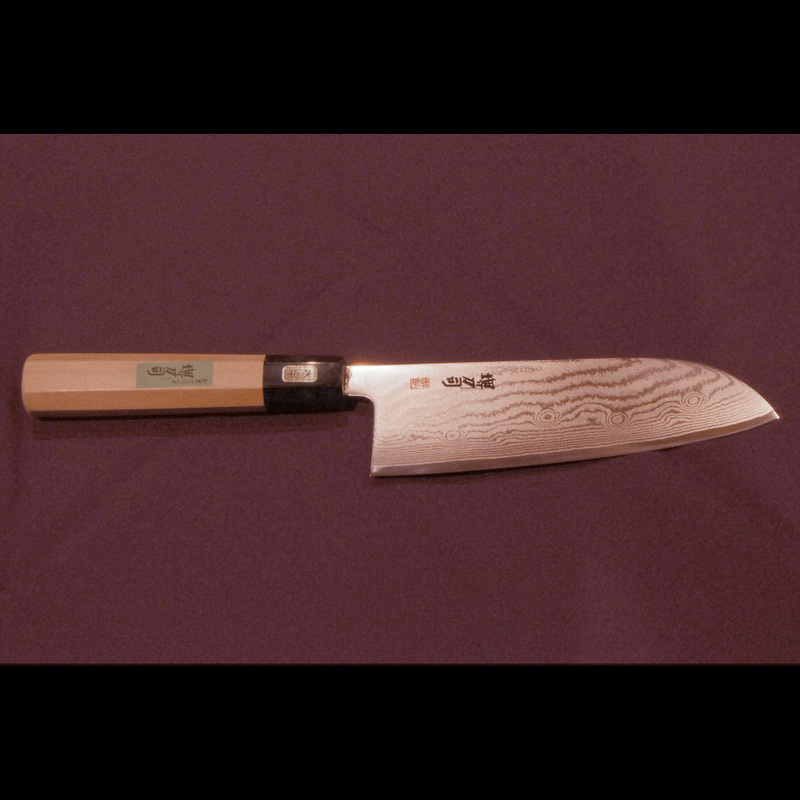 There are some more prominent shoji in the upper part of the blade. 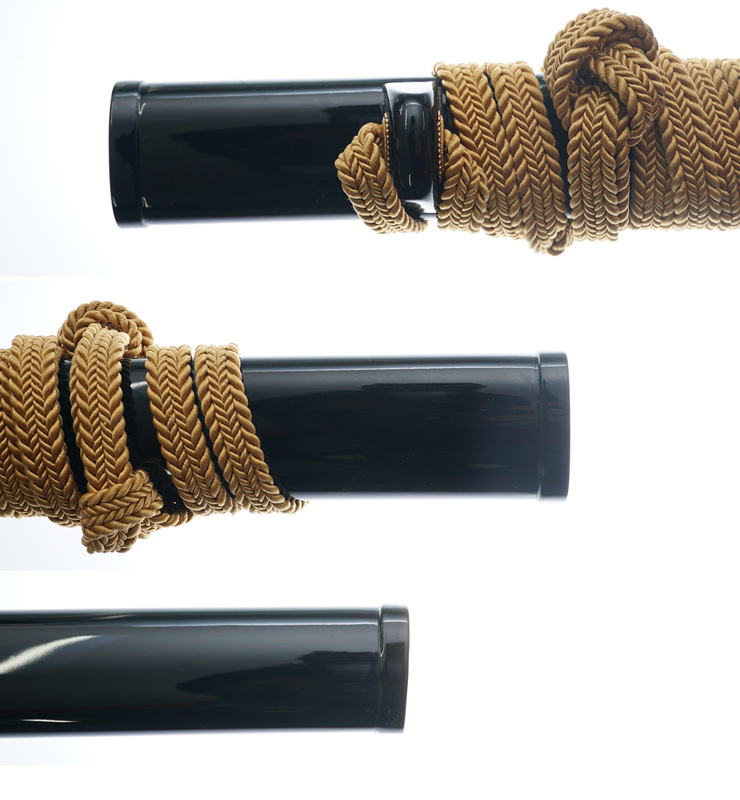 The boshi is suguha, ko-maru with a small turn-back. 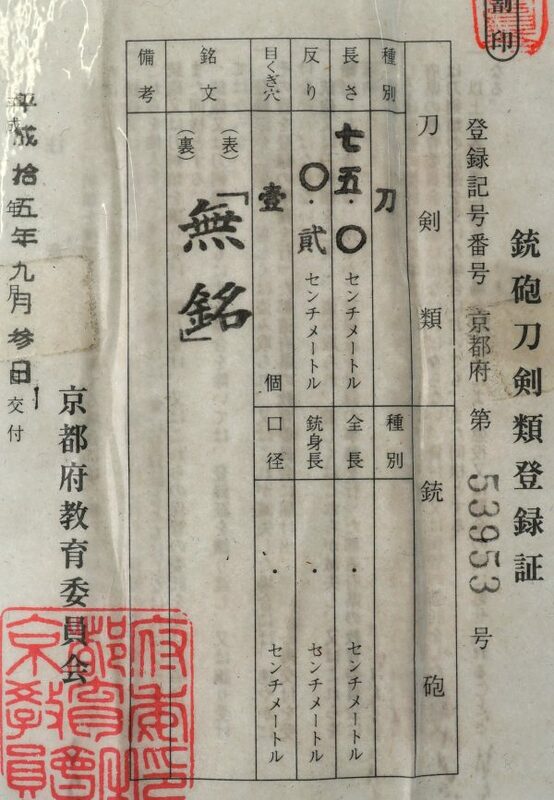 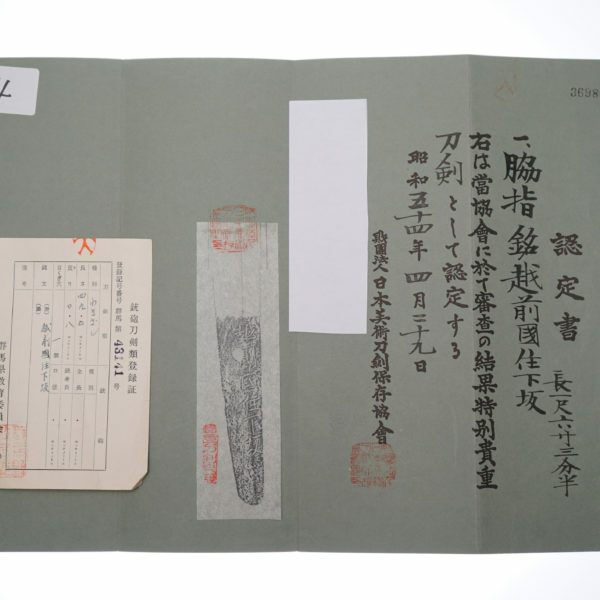 The unsigned nakago ends in iriyama-gata and has katte-sagari file marks. 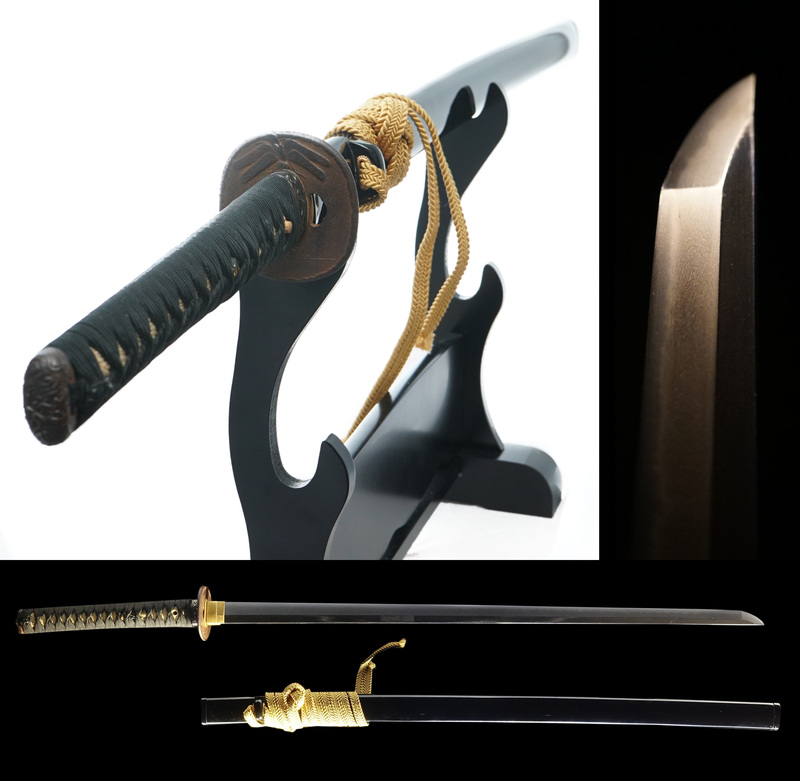 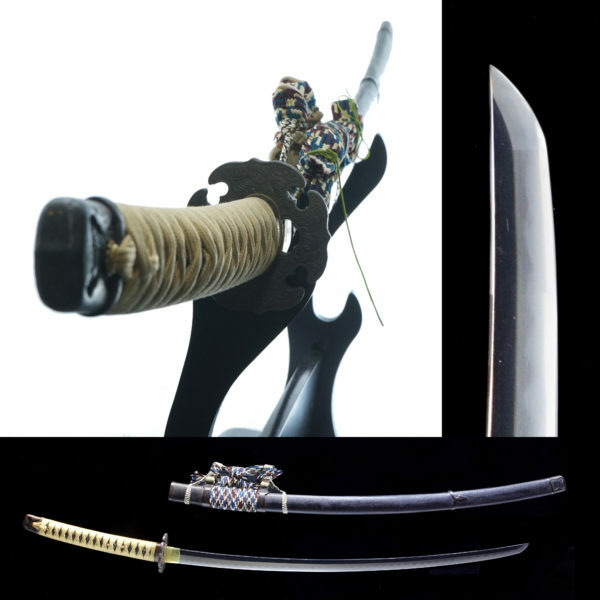 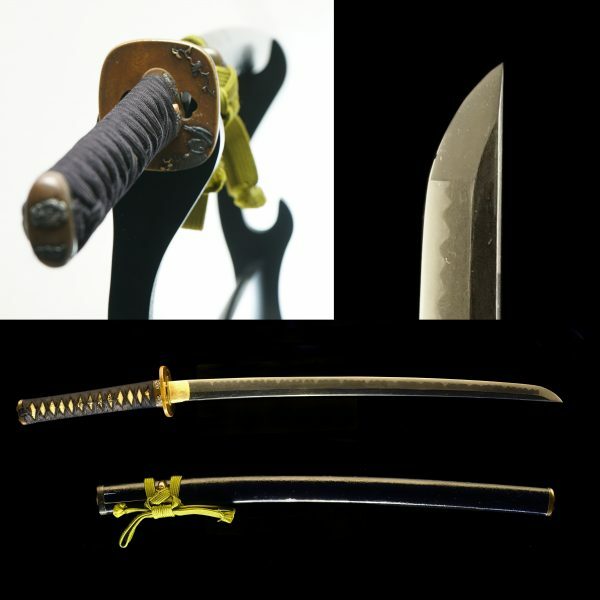 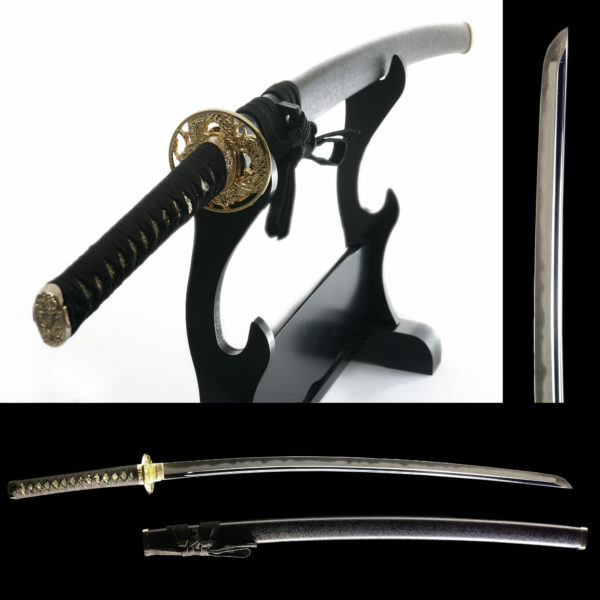 It comes in a modern katana koshirae, with a plain black lacquered scabbard, with a gold colored silk sage, and a black silk on white ray-skin wrapped hilt. 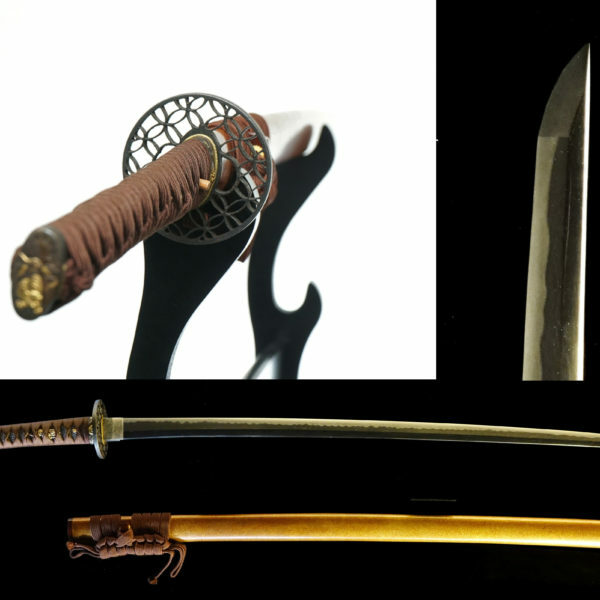 The hilt fittings are iron, and the antique menuki are shakudo with gold colored grapes. 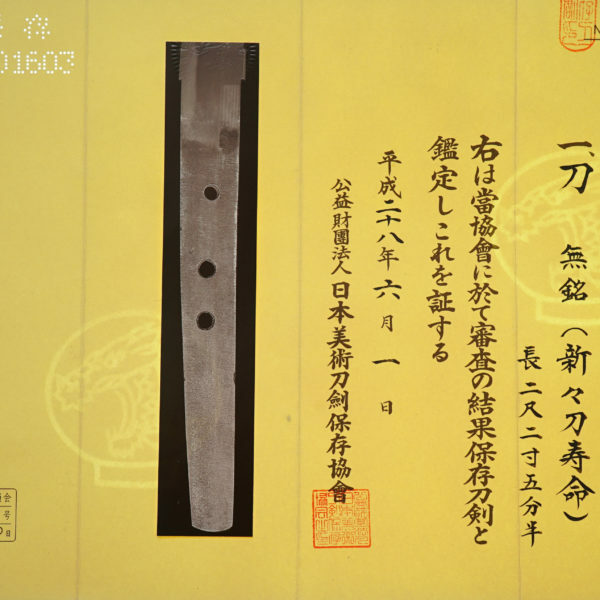 The iron tsuba has a carved design of a dragonfly.